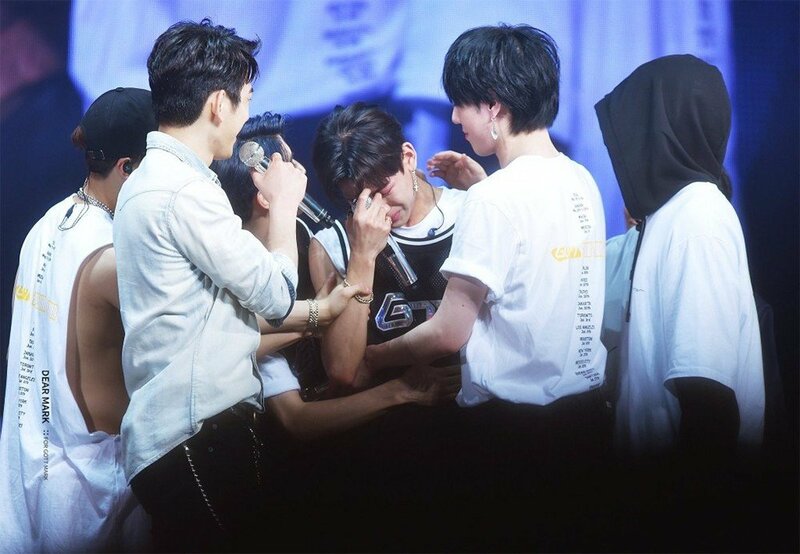 iGOT7�couldn't help but laugh at BamBam's cute tears during the last day of GOT7's Seoul concert. At the ending of the last concert, BamBam told fans, "I really hope that you do things for yourself, instead of for just us. You guys don't sleep because you're trying to buy albums and get more views for us... We're already sleeping but you guys aren't and I'm so sorry and so thankful. Honestly, now we have things that we couldn't have in the past, and I wish you were also living in that kind of environment. And I hope if we can ever give back, we can somehow give back." While fans were touched by his sincere words, they couldn't help but laugh at how cute his concern was. His members apparently thought the same, as they laughed but hugged BamBam while he cried. Mark�later on�even made fun of BamBam's swollen eyes. Seventeen's Mingyu, who had come to the last day, poked fun at him on his Instagram as well, writing, "Crybaby, don't be hurt." 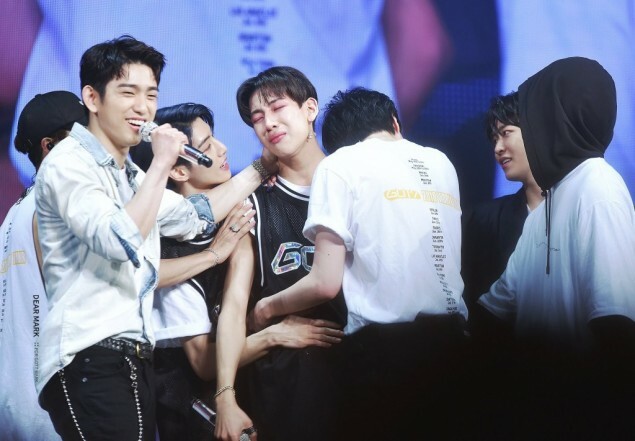 It's the first time since GOT7's debut that BamBam has cried in front of fans, making his sincerity even more meaningful for iGOT7. You can check out a clip below.